The Professional Regulation Commission (PRC) announced on Thursday, January 29, 2015 the complete list of passers for January 2015 Architecture board exam known as architect licensure examination (ALE). 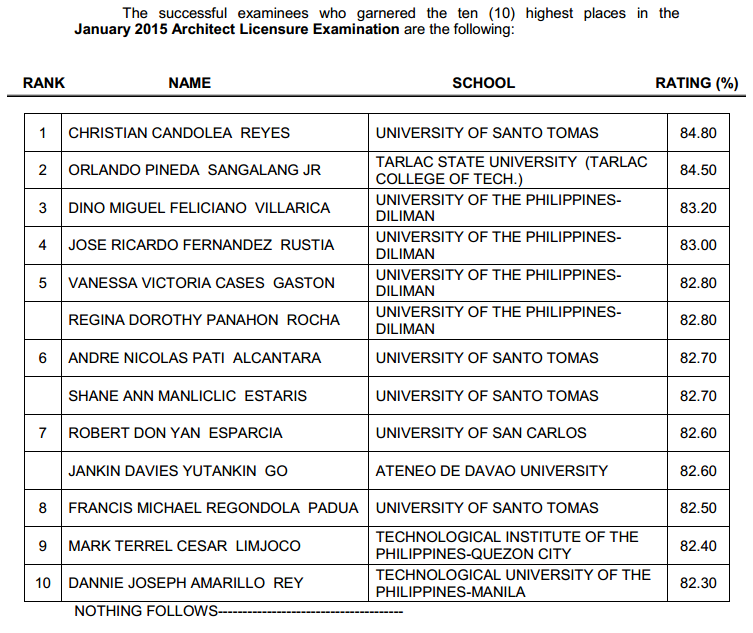 Christian Candolea Reyes, graduate of University of Santo Tomas (UST) topped the board with 84.80 percent grade. A graduate from Tarlac State University (TSU) Orlando Pineda Sangalang Jr. placed second with 84.50 average grade.